Wat : Look at this Fabric clutch ! 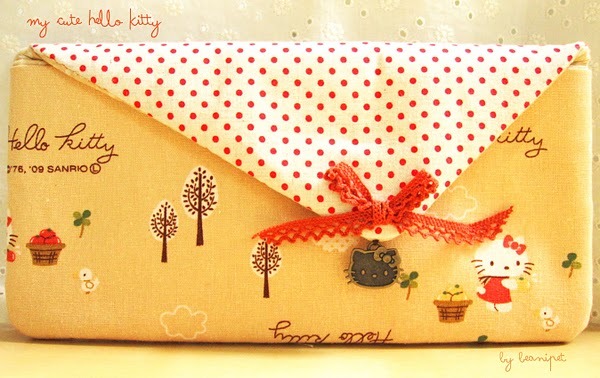 It is a Hello Kitty themed clutch.. will look cool on the hand huh ? And to complete the theme, a hello kitty charm. Wat : They have came out with more designs ! Check their blog out ! This is one of their designs. Wat : Want a skirt-shorts ? This is one piece that you can consider. The design of this shorts is rather special. Watdya think ? 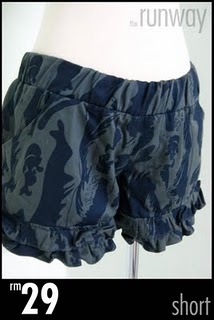 Wat : A blue fatiqued inspired shorts that is suitable for our country's weather.